@BreezeC haha. I saw the trending topic by accident but didn't know why it started. He must not be such a big introvert if he loves to eat hot pot 2-3 times a week, since it's a social activity. I love my friends but I can only comfortably be social once a week outside of work. The other article is from sina entertainment. I posted a translation by a Chinese fan on page 1 or 2 of this thread, the Chinese version is in the guardian thread, but can also be easily found on Google. @katthy to me it seems he just has topics he is willing to share about and those we won't talk about, but otherwise is quite open if he is comfortable with the reporter. He doesn't mind sharing his ideas about acting, and then can be lured into talking about his childhood memories. He won't talk about his personal life, but he is always polite about it. He tries to keep a clean line with fans, where he says he is grateful that the audience gives him more choices as an actor and he respects them. But never goes the idol line of saying he loves them. He is basically hinting to stay away from his personal life and not to try to hinder it (like it tends to happen with Chinese stars), because he is an actor, not an idol. I am an introverter but like hot pot so much hehehehe. I bet there's loads of hidden gems like that in his acting, his characters feel so full of life and I can't connect the to his own person at all. I don't know what some people who claim he is just average for his age group and just works hard have been consuming, because I wish that they could point me in the direction of all those other great actors so I could have stuff to watch, I'm somehow having trouble finding those great masters. Average? Hahaa who said that please tell me who is better. I 'm new member in here.I 'm zhu yi long crazy.I love so much him.i was join here for zhu yi long.I want to know more about him. I want to know all about of him. I'm new member here and would like to thank you all for this thread. I just chanced upon Guardian a couple of weeks back by my hubby. It happened to be supernatural genre which is one of my favourites. I was really impressed with 2 lead actors from ep 1 but hand to stop around ep 10 plus to really get what the story about by reading translation, now ch 70 plus. I get back to watching it and really appreciate Zhu Yi Long's acting skill in bringing life to Shen Wei as well as Ye zun. Even my hubby who gave up after 3 eps of Guardian (supernatural is not his type) appreciates his performance in Clown. His skill is superb, especially in the deleted scene of Yezun disguised as Shen Wei and killing a student. I felt disgusted at his expression and wanted to strangle/stab him. I'm so glad he is finally getting the attention he deserved now. I LOVE HIM SO SO MUCH!!!! @Moony Moony It was pre-recorded in the sense that it wasn't a live telecast. He performed on stage and sang there himself in front of the audience, but if something bad had happened, there's a chance to re-record so that cctv can broadcast a flawless programme. But he wasn't lipsyncing. @BreezeC https://www.weibo.com/2049922530/Ha4Qgx0TM? this is the music teacher's weibo. They finally revealed the main cast for Tomb Raiders Restart. Apparently the character Wuxie, who Zhu Yi Long plays is, in terms of popularity, something similar to the Harry Potter of China. People were also anxious to know who his partner actor will be. He posted the reveal pic on his weibo if you're curious to go check. That man is actually his makeup artist by the nickname “Pengpeng”. And mysteriously the topic “ZYL playing the piano on his assistant” is trending on Weibo tonight. It is top 1 now. The fans have been nervous about it since nearly every hot search about him seemed to be bad before. This one is neutral at least. Anyways, he’s got more fans because of his performance and also Qi Heng. 2019 is gonna be better and better for him. @siobhanne Just look at the way his neck turned to red while singing, I still believe he was live - singing. Thank you for confirming my thought =))). I admire the way he put all of his heart into everything he did. Thank you again for keeping sharing informations about him. This winter, another large investment drama starring Yang Yang is going to be released, but not on Youku, instead on Tencent. Which is The King's Avatar. It's a big production, with several seasons, totaling up to 80 episodes. I don't know how the drama will go but the novel is very popular in China and internationally. But Yang Yang's ability to act has always been questioned. As a fan of the novel version of The King's Avatar, I have a mixed feeling about this too. So my point is, since Yang Yang has migrated to Youku's competitor, Tencent, Youku needs to find another golden goose win back traffic to their platform so they would not lose to Tencent. It seems like their sudden investment Zhu Yi Long is in accordance with this situation. They are counting on Long Ge make a breakthrough for them, and I think this move is very smart because Long Ge has the acting ability, and he is also very handsome (wouldn't lose to Yang Yang or other handsome actors). I also hope Long Ge would make a breakthrough with the Tomb Notes and become a mainstream actor. I see. I love The King's Avatar anime and novel so much so that I used machine translation to read it before I found translation on webnovel site. I'm already very doubtful about creating Ye Xiu/Ye Qiu & Su Mucheng's romance in drama. I know nothing about Yang Yang who is staring Ye Xiu/Ye Qiu character. Hope he didn't destroy it. If he did, I might start giving dislike to all his youtube videos I can find. @usagi0 @rei079 You are welcome! I also hope he can better care for himself and take a good work. About Guardian, I felt that it was a show that in prevailing conditions, would never have gotten approved had they known of its impact. Apart from BL themes that were harshly sterilised, it had a host of topics like rebellion, corrupt officials, an envoy who finds help in an outside ally, supernatural, magic that were already banned. Then it became too popular, influential and dynamic, pulling people in droves. It also started to threaten big productions and I feel had it been left online, a few dramas after it might not have had the impact as they did. Thanks for the info! I don't know much about others, I know YY is a good dancer and his acting suffers. Also that Tencent had a bad attitude towards ZYL because how much profit Youku had made from him. You are right and if Tencent Vs Youku can help establish good, deserving actors and yield better entertainment for the viewers then this competition might be good. @paopaolong Thanks as well! I think he talked about his health and depression in an interview and the 35 yrs economic contract was signed in 2014. He was only paid fixed monthly salary and had no income from his works produced by Feiyun. I will have to read more about the company. His management is something he will have to bear until he has better resources but I think his situation is way better now then what it was before, he is low-key and sincere, fans also do regular welfare so I think it should be okay. I thought that popular traffic and platforms were already very apparent. Sina has it's own endorser, Tencent and Baidu have their own. Mango just goes to the star of the hour and Zhejiang is following same route. ZYL is not managed by Youku but he also is the spokesperson for Youku VIP just like any other service. The best resource he found after his popularity was from Youku so they do value him. About certain useless trolls, they have frequently turned ZYL's own strengths against him to sate their sense of failure. I wouldn't worry about gutterbugs too much. I have to say not offending, I find a few fans of ZYL on weibo passive, whenever he is being attacked and misreported, most of them are content to accept it rather than strongly deny it, creating sense that report is being posited. I understand that ZYL is modest and humble about himself but it is not the place of fans to be humble for him but strongly support him. The fanbase seems to fear being put in negative light but many fake accounts, blogs and paid writers simply will write what they want to. I have seen many fans leave just because they hurt and are stopped by others from being bolder about cyber violence and personal abuse. I certainly don't condone cyber bullying behaviour. Can it be reported to police? Doesn't China have law to prevent this? I hope his fans won't be subject to such treatment in long run. I can sympathise them since I also take a liking to ZYL. I'm going to install weibo international version on my phone just to follow him. I am really supprised how he just got noticed after 10 years hahaha, he is freaking good and a total package. I liked him much when first watching him as Fu Hong Xue (only by several episodes on television which I accidentally saw). Now I am watching guardian, omg he looks so great here as several characters in one. But I hope he will be in more movies than dramas. I feel like that is the way great actors should be, am I right? Anyone knows if he will be in some movie soon? A new drama the story of minglan is playing, He is second male lead in this drama. He has two more drama come soon in this year. his new drama the story of minglan are on air now.They start broadcasting at Christmas .Now , they are reaching ep 17 . He is second lead role . Thank you @yangxue han and yinchanmyae, but I mean movie, not drama? 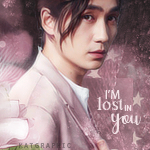 Yes I think its really difficult to overcome the figure of Shen Wei, he is so adorable, the gestures, postures, everything are so perfect. He played in some movies, I watched only one. I have no doubt he will go far. I think work wise he has already signed to a bigger and better management. ZYL will definitely get more opportunities. He has upcoming weibo night to attend on 11th or so, recording for CCTV spring festival which is an honour for celebrities and Minglan promo. Later China TV good actor awards and some endorsements as well. And work wise, I hope he is currently handling good starring scripts with great teams. The more I know, the more I think that his growing fandom has matured and desensitised, largely organised. Most bullies have been driven off weibo and the remaining fringe get dealt by his anti-black fan groups. His fans are really a force when they work together. Less the attention on these bad people, less they thrive. Yes. I haven't watched his movie yet but I do think so too. Shen Wei character is his breakthrough and brings his fame to soar exponentially. He may be getting similar romance plots with his pretty face. Producers like to join this type of band wagon especially when the money is guaranteed. I'm very glad he did Clown and choose to do current drama of lost tomb though. Hope he'll have similar growth path like Leonardo DiCaprio who started out with Titanic (romance/pretty face) but made very good pieces like blood diamond, Catch me if you can and The Wolf of Wall Street. I think work wise he has already signed to a bigger and better management. ZYL will definitely get more opportunities. He has upcoming weibo night to attend on 11th or so, recording for CCTV spring festival which is an honour for celebrities and for Happy Camp for Minglan promo. Later China TV good actor awards and some endorsements as well. And work wise, I hope he is currently handling good starring scripts with great teams. As I watched, he was never bad before, but most of his dramas had a bad plot, kind of destroying an original novel or like that, or boring. Poor him.